Give Four Months for Candida Crusher Program To Work - YeastInfection.Org by Eric Bakker N.D. 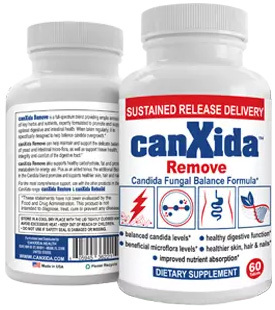 The Candida Crusher Program, if adhered to correctly, will take about twelve to sixteen weeks (three to four months) to become really effective, and this time frame is based on many cases successfully treated for this duration. While it is possible for great results to be achieved much sooner, in some cases it can take as long as twelve months to fully clear a yeast infection (depending on type of candida patient you are). Why does it take so long for some people to recover, while others recover in a matter of mere weeks? This can easily be explained because every case of candida I see, just like every patient, is different and has developed a yeast infection under a different set of circumstances. In addition, some cases will be straightforward whereas others will be much more complex and have a hidden cause that ensures the person only ever partially recovers, because they have their own personal obstacle to cure which needs addressing. Another reason is that every patient will have his or her own reasons for wanting to recover, and this may be a partial or full recovery, as strange as it may sound. My advice is to steer clear of any health programs that promote “instant” cures. In reality, there is no such thing as instant when it comes to good health. This is a bit like getting an “instant PhD” I have seen advertised online for five hundred dollars. A friend used to tell me that it is “morally wrong to allow suckers to keep their money,” and many people will unfortunately fall for such scams for the instant things in life. Whenever you act in haste in this life it often follows that you may have to repent at your leisure. It takes time to develop outstanding health because good health is based on the foundation of learning how to lead a healthy and balanced life, and as you may be aware, learning to develop great health takes time because first there is the theory and then there is the practice of adopting and implementing these healthy lifestyle and dietary habits. The main thing is to do the best you can, and even if you can’t cure your underlying health problems. Evan a small dietary of lifestyle improvement, sustained for a brief period of time, may bring about an improvement in your health long-term. This in turn will make the Candida Crusher Program just that more effective. When I wrote the book, I wanted you to eradicate your yeast overgrowth for life – not just for a mere few months or years. My goal is to offer you a permanent yeast solution.